I am in Fukushima today, in the City of Koriyama for a Safecast Conference. 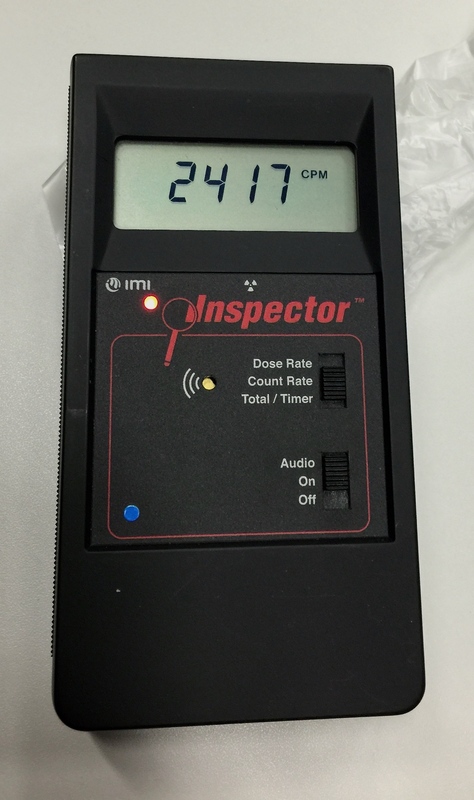 I have traveled here with Safecast people, who have been monitoring the environment for radiation contamination, and posting the data on the internet since 3.11. When you say 3.11 here, everyone knows what you mean, like 9.11 in the U.S. The map here shows radiation data I collected on the train from Tokyo to Koriyama. The levels were comparable with what is normal in California. Iʻve written a lot about Safecast before. A lot more can be easily found on the web. Itʻs 4 years and 12 visits to Japan since I was first nvited – to help provide technical assistance after 3.11. The whole experience is a big story, not really condensable by me into a blog post. It has involved a lot of hard work and stress and lack of sleep by a lot of people. It has also been incredibly enriching. The people who have shown up to help here are really exceptional. I think about what that means. Ordinary people become exceptional when they show up to help their fellow human beings and the environment. And this group is also very intelligent and technically proficient – and has really fully utilized the power of the internet to respond rapidly. The people who chose to stay in Fukushima are working hard to recover and make the best of their lives. Fukushima, I am told, means Happy Island, or Lucky Place. I guess they are indeed lucky, in that (given the scale of the triple disaster) things could have gotten much worse. Itʻs important to know that Fukushima is a large prefecture, and only parts of it are contaminated. Safecast has worked hard for the people of Fukushima and Fukushima people have developed skills and technology to cope with 3.11 aftermath. Now they are talking about being ready to help others if a disaster should occur somewhere else in the world. Professor Kyoshi Kurukowa is with us and speaking on the stage to a large audience as I write this. Kurukowa – San was asked by the Government of Japan to report on the Fukushima Daiichi event – to the Japanese Diet. His report said a lot worth paying attention to. Heʻs a wise man. One thing he said in the report that sticks with me was that the nuclear accident was man made and preventable. Not that the earthquake and tsunami was not a huge deal. But that information that this could happen existed, and the appropriate actions, upgrades and repairs were put off until it was too late. Iʻm sure Safecast will post more about this conference at http://www.safecast.org. 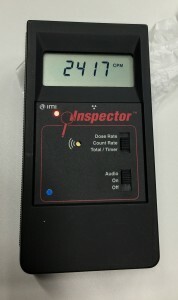 did not show unusual levels of radioactivity. This entry was posted in Data, Environment, Fukushima, News, Prespective. Bookmark the permalink.